I am allowed to show you the finished project but cannot give you any more details till launch date. 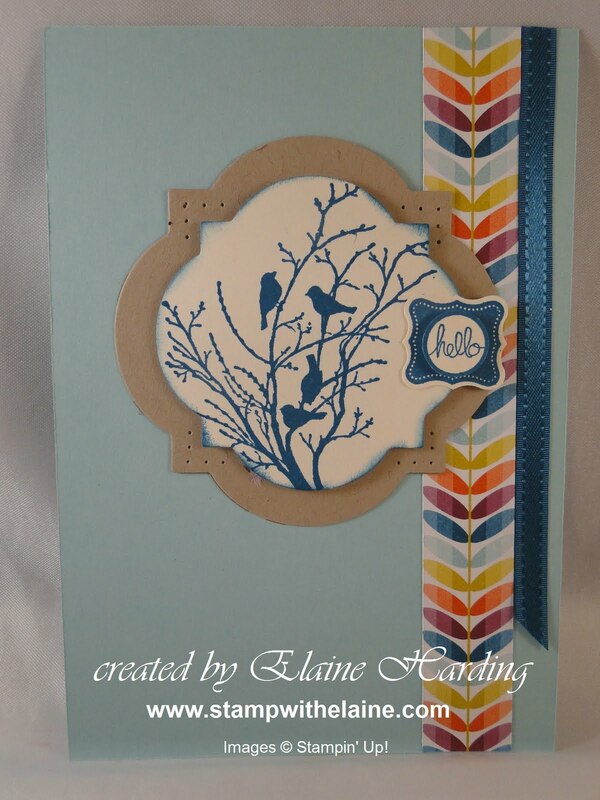 I used Serene Silhouettes for the main image - page 75 in the Annual catalogue and the DSP, ribbon and the "hello" stamp are just some of the SAB freebies you can choose from for each £45 spend. Pop back tomorrow for another sneak peek at a different stamp set!